SchoolCare believes that supporting education is not all about sales, we also want to help with the environment through new services and technologies. We can help your school with ICT equipment disposal by arranging the collection and disposal of your waste IT hardware and electrical equipment. All collections are handled in an environmentally and socially responsible way in accordance with the WEEE (Waste Electrical and Electronic Equipment) directive. ICT equipment disposal for over 30 of the above-listed items is usually free with collections for smaller quantities being subject to the collection location plus a small fee. 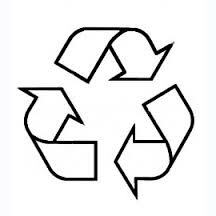 This fully compliant and certified recycling service is provided via our dedicated IT disposal centre partner. Once we have received the above information we will then respond to confirm whether we can accommodate your requirements and also whether they are any costs involved. Once these detailed have been confirmed / agreed then we will arrange a mutually convenient date for the collection of electrical equipment.